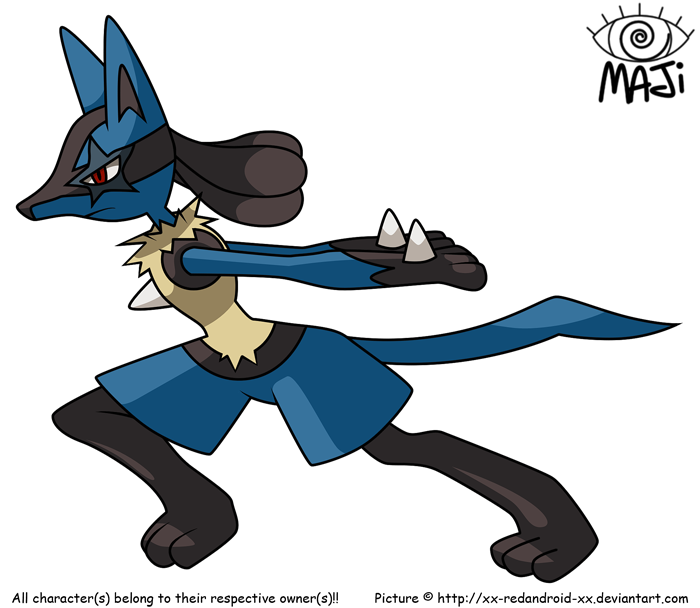 Lucario-fur coloring, minus a star-shaped scar on his left eye. Also, he is quite muscular, yet he has wide hips due to his hyper balls. He has black and blue spiky hair that stops at his neck. Normally wears a pair of black shorts and a muscle shirt, the band of a pair of red and white boxers are normally visible. Also, he wears a red headband and a black martial arts belt around his right arm. Normally wears a pair of goggles on his head and a key to his motorcycle around his neck.